Madam Patti was born in Madrid on the 19th February 1843, of a Sicilian father and an Italian mother, both of whom were opera singers. She was the youngest of six children and her parents were relatively poor. Realising her potential, they launched their daughter on an early musical career and at the age of eight she was singing in the concert halls of New York. It was not a happy marriage and in 1885 the Diva secured a divorce after settling half her current fortune upon her ex-husband. The agreed figure was said to be £64,000, a considerable amount in those days. She recovered financially and became the highest paid performer ever known. Madam Patti was kind to her staff and generous to the local communities, giving many charitable concerts for hospitals at Swansea, Neath and Brecon. She often raised over £700 at a single performance. Known as the Diva, she cared for her staff and continued to pay those who were ill, sending the doctor to them and their families. 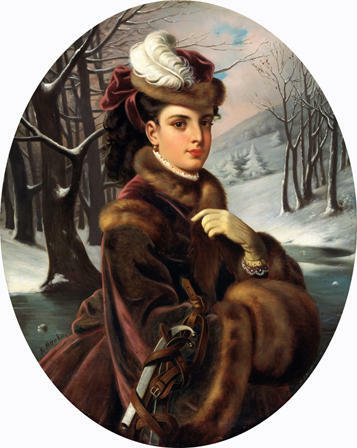 Adelina usually arranged a hamper of food for the household and would often take it herself. Those who served her long and faithfully were given a pension upon retirement and those with no alternative accommodation were given a room at the castle for the rest of their days. In 1878, the castle and its setting captivated the leading opera star of the day, who felt she had found the home of her dreams amid the calm isolation of this beautiful valley. The Castle's name alone strikes a romantic note and in rough translation means 'Rock of the Night'. This small estate in the mountains of Wales appealed to Madam Adelina Juana Maria Patti, who brought the castle and surrounding parkland for £3,500. One story relates to a time when his train was delayed and the party arrived late at night. The servants awoke to the sound of unknown visitors and Madam Patti shooed them back to bed before receiving her guests personally. On the following day, the staff saw the Prince and realised why their Lady was not abed on the previous night. For twenty five years she sang for Queen Victoria by private invitation and would surely have known many members of the Royal family. The alterations to Craig-y-Nos continued and the red sandstone highlighted the new extensions. As you look up at the front of the building you will observe the different coloured stone. 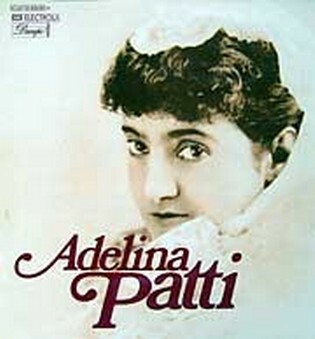 Adelina Patti lived the best part of her life in Breconshire, but before arriving in mid Wales she had made her mark as a famous opera singer, and had appeared in concerts in America and Europe. 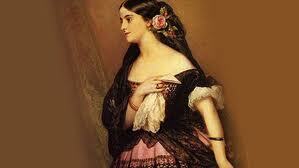 She was born in Spain to a relatively poor family. Her parents were both involved in opera, her father a tenor and her mother a soprano; therefore it was no surprise that from the age of seven Adelina appeared in concerts in New York City. (The family had moved to New York in 1947). Adelina also spent several years touring North and South America, until she made her operatic debut at the age of sixteen as Lucia in Gaetano Donizetti's Lucia di Lammermoor at the New York Academy of Music where see won critical acclaim. 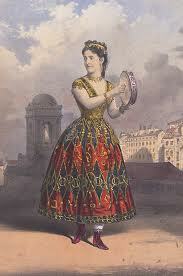 In 1861 she was invited to London to take the soprano role of Amina in Vincezo Bellini's La Sonnambula, and following her sensational performance she became a Covent Garden regular. Her success grew, as she sang many roles in the operas of composers such as Rossini, Bellini, Meyerbeer and the early operas of Giuseppee Verdi. From 1881 to 1904 Adelina made a series of annual tours of the United States, but her official farewell appearance was at the Royal Albert Hall, London, in December 1906, although she did continue to make occasional appearances. Adelina Patti lived in retirement at Craig-y-Nos Castle, until her death here on September 27, 1919. Verdi declared her the greatest singer he had ever heard, but she was also a notable actress as she achieved her greatest successes in comedy operas such as W.A. Mozart's Don Giovanni.